We take great care in raising pheasants from chicks to adulthood. All brooder areas are thoroughly cleaned between each generation of Oak Ridge Pheasants. 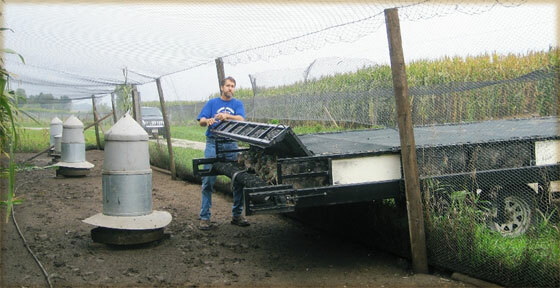 Our hatchery is inspected annually by the USDA. Our hatchery equipment is state of the art. It is maintained and upgraded to help keep our pheasants healthy and in the best care possible. Eggs are picked up three times a day (March through July). Eggs are cleaned and sanitized. 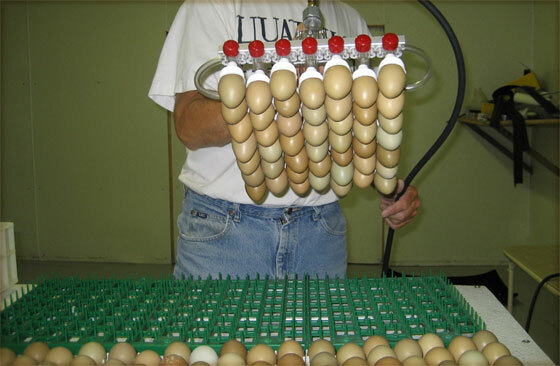 Eggs are stored in a cooler room. All eggs collected within the previous week are placed in the incubator. 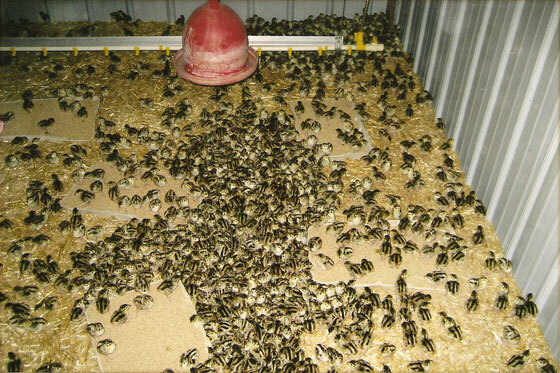 After 21 days eggs are transferred into the hatching unit. Eggs hatch after three days. Chicks are introduced to one of seven brooder houses. Five week old chicks are transferred to a clean space to begin acclimation to outdoor life. Eight week old pheasants are put into flight pens (weather permitting). 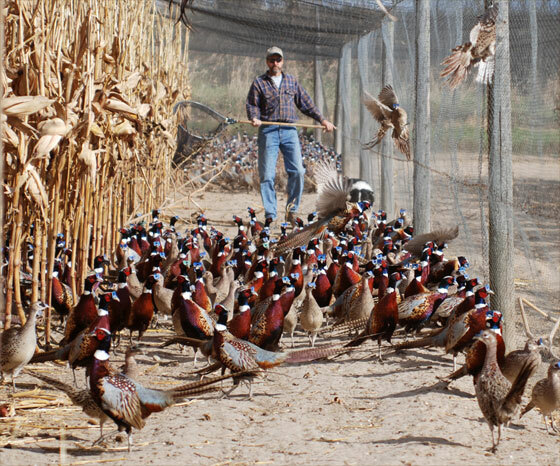 Oak Ridge Pheasants will reach mature size and plumage after 26 weeks and are then available for purchase. Dogs are used to round up pheasants.